We all have insecurities in our lives that make us lack confidence. For some, it’s their shape, for others it’s their size. But for many, it’s their smile. Worrying about hiding your teeth, rather than showing off a bright smile can mean missing out on so much, both physically and psychologically. Invisalign can change both your smile and your confidence, helping you to live life to the full. Invisalign uses sets of aligners to slowly change the position of your teeth. You swap your aligners every few weeks until you’re left with a beautifully straight smile. Each new set of aligners moves a different set of teeth. When they’re placed on the teeth, they allow them to gradually change position. Typically, Invisalign patients complete their treatment in just under a year. 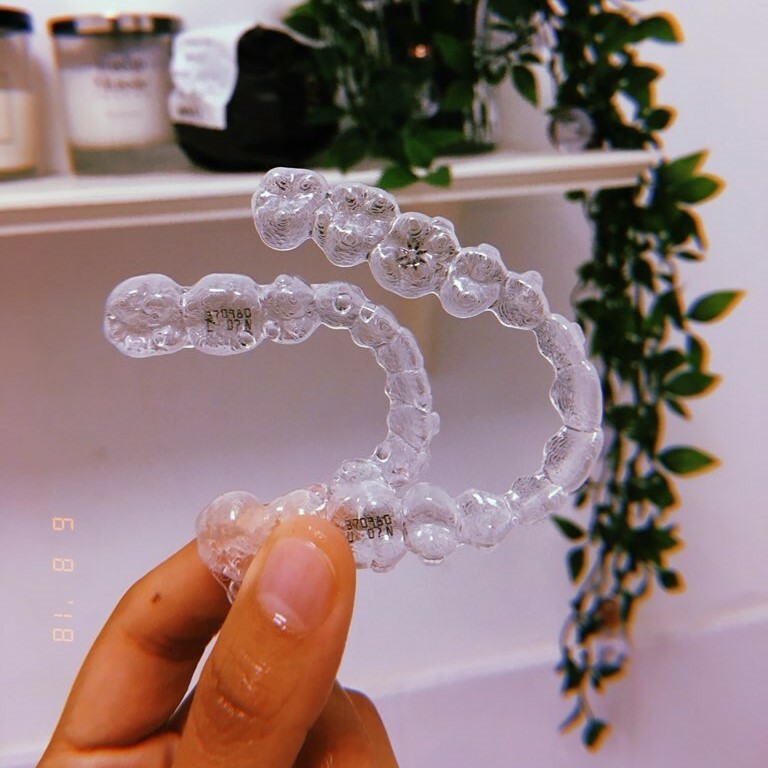 While the results may appear the same – a beautiful smile – when you stop and compare Invisalign to other teeth-straightening options, the advantages become apparent. At your initial Invisalign appointment, we’ll scan your mouth using our iTero scanner, which maps out the current position of your teeth and uses special technology to predict what the results will look like – meaning you can ‘try before you buy’, visualising your new smile before committing to the treatment. We often get asked, “does Invisalign work if I’ve previously had braces?” – the answer is yes! Invisalign is a great corrective treatment and works for anyone, whatever their dental problems or needs. Plus, because Invisalign is virtually invisible, it’s great for adults who may be embarrassed to have unsightly train tracks in their adult years. You can also eat, drink and brush your teeth with ease and confidence. Because Invisalign aligners are completely removable you don’t need to steer clear of certain foods, nor struggle to brush your teeth properly! While we recommend wearing your aligners for 22 hours a day, you’ll have the freedom to remove your aligners for special occasions, photographs, or sports if you wish. But as they’re virtually invisible, you might be surprised to find no one will even notice you’re wearing braces. Making the decision to straighten your teeth is much easier when you know that Invisalign lets you live your life the way you want to. There’s no recovery time involved with Invisalign, so you’ll be smiling from the moment you remove your aligners for good. As well as gaining a brand new smile, you’ll also gain a ton of confidence. You might even find you’ll be open to trying new things and meeting new people! At Perfect Smile, we strive to provide the best quality care for all our patients. We understand that your smile is not just what you look like, but how you feel on the inside. With professional, reassuring staff, and finance options available on most procedures, you can get the treatment you deserve at a price you can afford. So, stop asking “does Invisalign work?” and start your journey to a straighter smile today. Give your confidence a boost. Book your free Invisalign consultation.